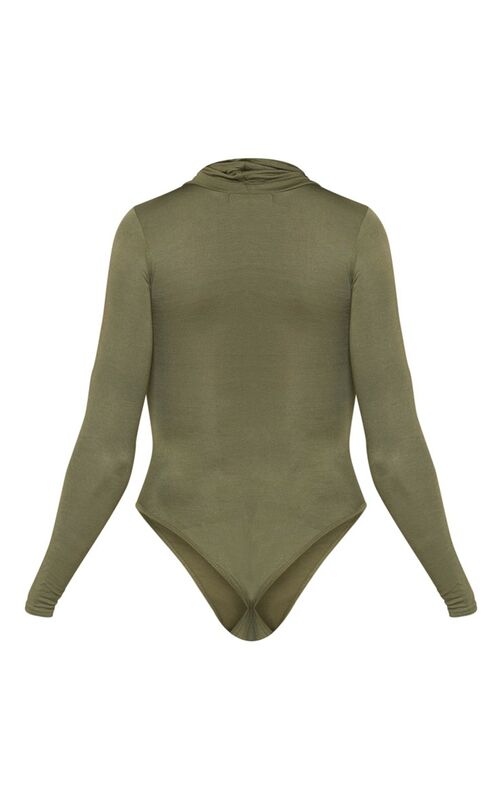 This perfect khaki go-to bodysuit looks great with anything girl. 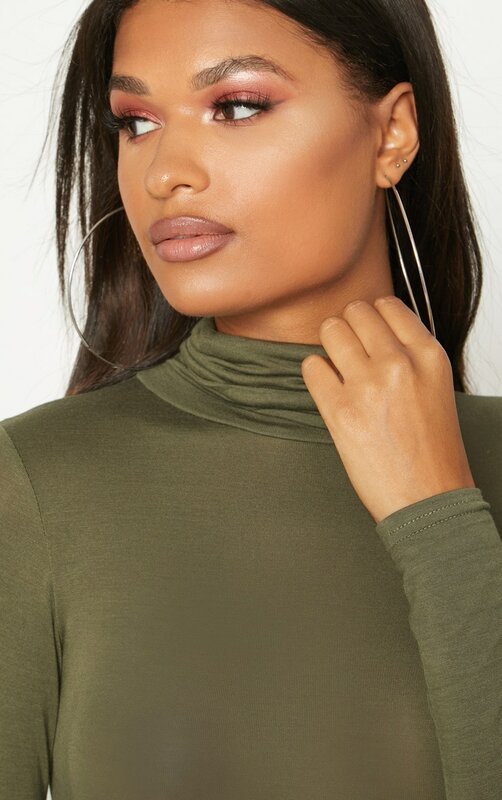 Featuring a totally flattering roll neck and streamline shape, pair this baby with jeans, trousers, skirts or shorts for an ultimate effortless chic style. Model Height: 5 ft 9.5"